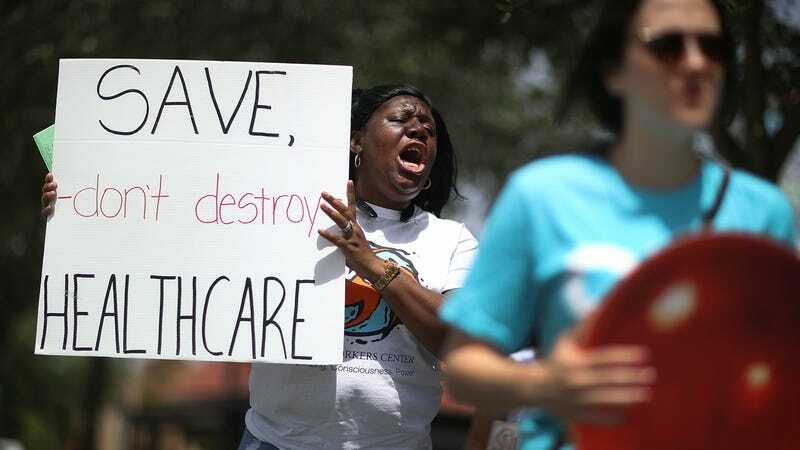 On Monday, the Trump administration once again made its intentions about the Affordable Care Act clear—it wants to get rid of it altogether, which would potentially take away the healthcare of tens of millions of Americans. The latest salvo came in a legal filing submitted to the Fifth Circuit Court of Appeals, in which the Justice Department wrote that it agreed with the December 2018 ruling of Reed O’Connor, a federal judge in Texas, who declared the entire law to be unconstitutional. That ruling was quickly appealed by a coalition of 16 states, led by California, and it’s currently up before the Fifth Circuit. While one legal scholar interviewed by the Post described the Trump administration’s position on the Affordable Care Act as “legally untenable,” what the move has done is unite Democratic elected officials, who until the administration’s court filing had been hotly debating the feasibility of Medicare for All. Months after a midterm election in which Democrats retook the House in no small part due to the Republican Party’s continued attempts to dismantle the ACA, Monday’s announcement sure feels like a gift from Trump to his Democratic opponents. Top Democratic leaders like Senator Charles Schumer and House Speaker Nancy Pelosi quickly promised to (again) fight any efforts to destroy the ACA. “Tonight in federal court, the Trump Administration decided not only to try to destroy protections for Americans living with pre-existing conditions, but to declare all-out war on the health care of the American people,” wrote Speaker Pelosi in a statement.